Boat trips in Andros are the best way to explore the magical coastline, the astonishing beaches and the underwater world of the island. Our inflatable 8.5 meters “Nemo” boat, can accommodate 10 guests. 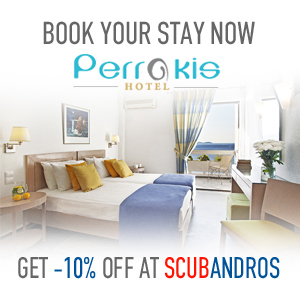 We will travel you to the “other side of Andros” offering a unique experience you will never forget. You will discover the enchanting aquatic life and beautiful secluded beaches that are not accessible by vehicles. ScubAndros organises tours in all regions of Andros, the round of the island, trips to Tinos Island with lunch at “Thalassaki” and the island of Gyaros known for its prisons of exile. If you wish, we have equipment for free and scuba diving. 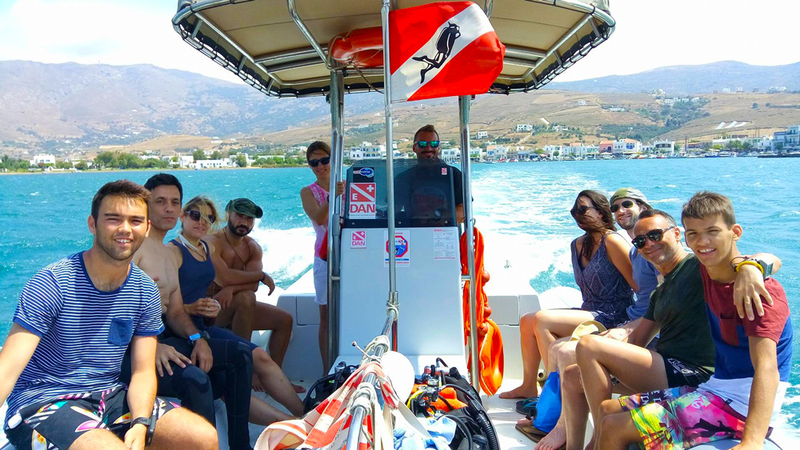 Boat trips in Andros combine all the services provided by our diving centre. We look forward to welcoming you to one of our unique tours on our island very soon.